With work much quieter and the allotment looking after itself, I’ve had time to indulge in some proper cooking again – you know, the kind that takes several hours to create, with a few interventions from the cook along the way. One can’t live on 15 Minute Meals forever and expect their soul to be nourished. It’s still too warm for the proper rib-stickers – though I will be steaming a proper pudding any time now. Last week Matt and I bunked off to have a pub lunch and shared a delicious little pot of duck rillettes. Proper autumn food that, and it made me think of an easy terrine to make at home, made of shredded ham hock and not much else. And then – who’d have thunk it – on Sunday I was gifted a ham hock by my Dad. Apron on. Ham hocks are super cheap, usually about £3 or £4, but are a little tricky to get hold of: I’ve yet to see one in any of our local supermarkets. I pick mine up at farm shops and stick them in the freezer for later use. Make sure your ham hock is fresh, with a good amount of meat on it. Hocks are from the trotter-end of the leg and take ALOT of cooking to come to tenderness. They don’t look at all promising, but with a bit of faith you can create something delicious. This terrine is adapted from a Raymond Blanc recipe and is super easy. First, you simmer the hock with a carrot, onion and celery (though I was out of celery, so it’s not pictured here) for several hours, at least four, until it’s tender. It may take much longer. Raymond cooks his hock in water, but I used a mixture of water and dry apple juice for extra flavour. Once the hock is done, remove from the broth and leave to cool. Boiled hamhock, carrot and onion. Unpromising, but have faith! Then you shred or chop the meat and veggies to bite-sized portions. 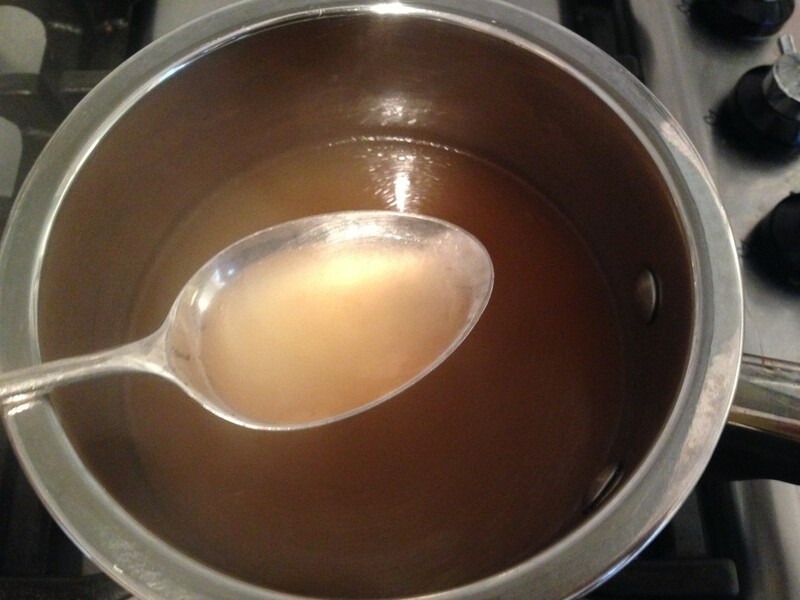 Siphon off about 500ml of the stock and check it for seasoning – it may need reducing a little. 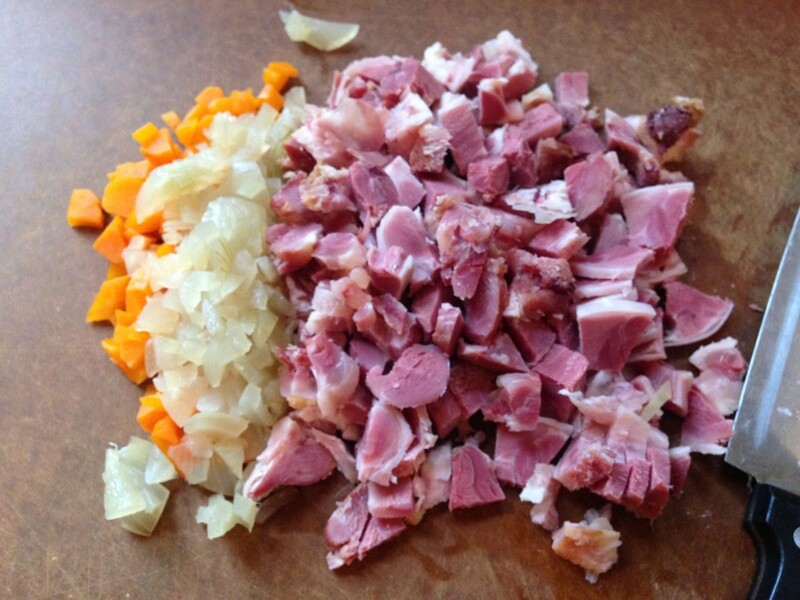 It probably won’t need any salt as the ham hock is salty. This stock is the basis of the jelly that binds the terrine together, so it needs to taste really good. 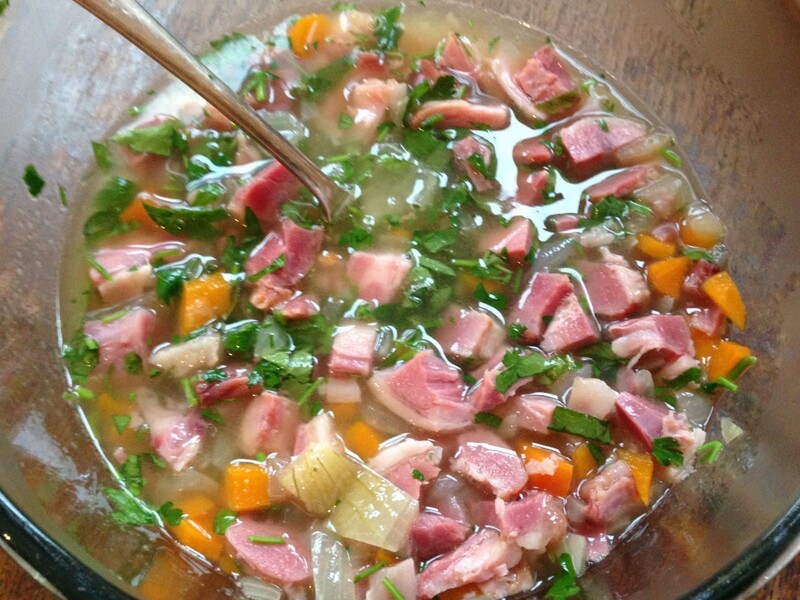 The ham hock will give off some of its own gelatine into the stock, but it will need a bit of a boost. 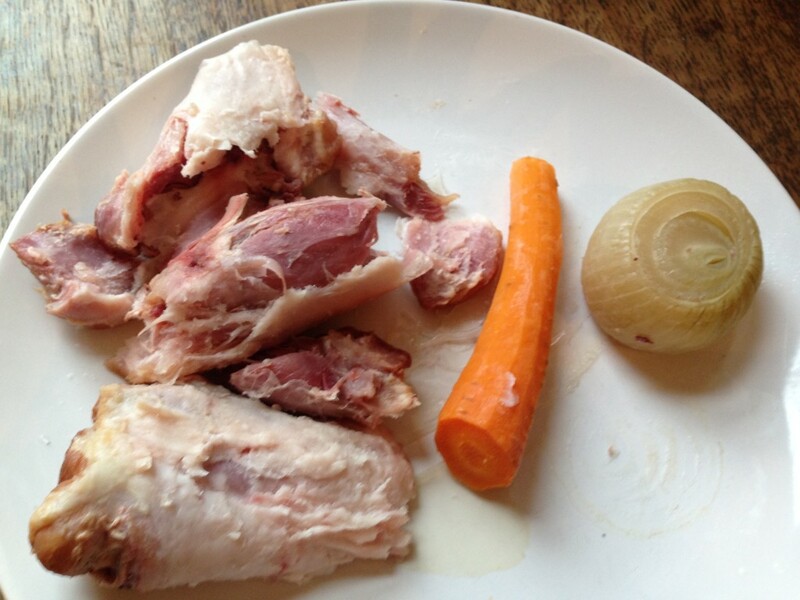 You could simmer a pig’s trotter with the ham hock to be sure of achieving a good set – or you could just use gelatine. Soften it in cold water for five minutes then dissolve into the stock, and add a few spoons of white wine vinegar. On the home straight now! 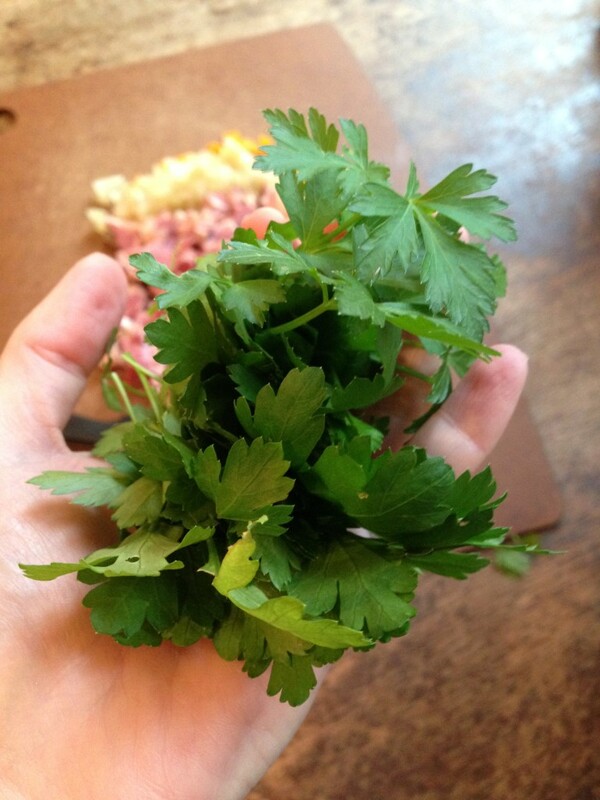 Chop some parsley, which adds freshness and colour, then mix all the meat, veggies and stock in a big bowl. And that’s it! I set mine in little pots, but you could make a large terrine in a loaf tin or terrine mould. Set in the fridge for a few hours, then serve with toast and cornichons for a light lunch or starter. This is an impressive dish that costs pence. It’s nourishing yet light, tasty but really simple to make. The carrot and parsley give nice shots of colour amidst the glistening jelly. 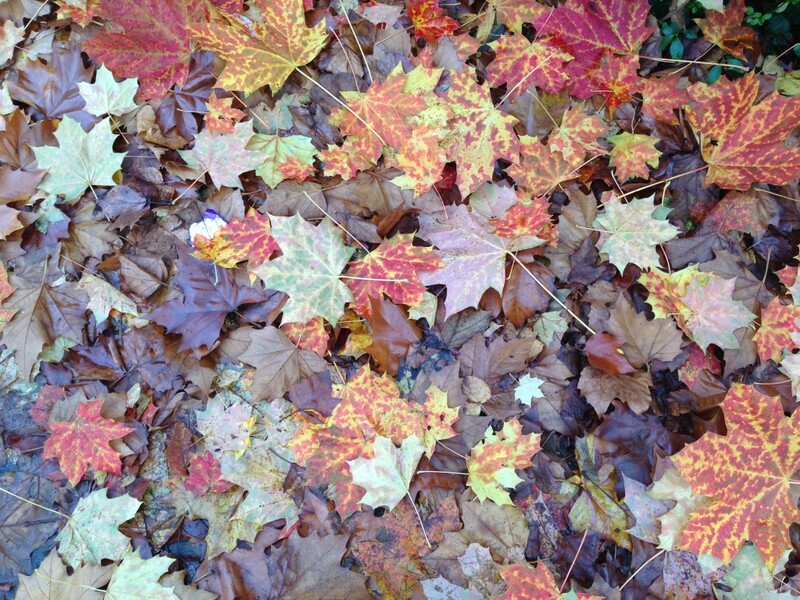 I’ve been scoffing it for lunch all week and dreaming of autumn in France. Bon appetit! Put the hock in a big pot, cover in cold water, bring to a boil. After 5 minutes, tip out all the water – this helps get rid of any excess salt and nasties from the hock. Put the hock back in the pot, add the apple juice and cover with cold water. Add the bay leaf and pepper. Simmer on a low heat until the ham is tender, about 4 hours or longer. Add the veggies for the last hour. When done, remove the meat and veggies from the stock and set aside to cool. Keep the stock. Shred the meat and finely chop the vegetables. Place about 500ml of stock in a small pan, removing any fat that has risen to the top. Taste – if it’s too strong, add water. If too weak, slosh in a bit more stock then reduce until it tastes nice. 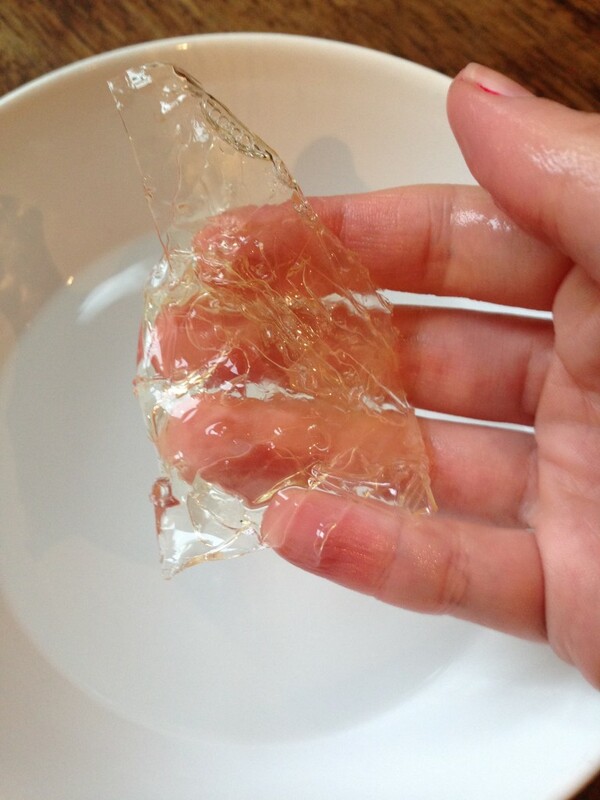 Soak the gelatine in cold water until soft, then add to the stock and heat gently until dissolved. Add two tablespoons of white wine vinegar to the stock. Chop the parsley and place everything in a big bowl, stirring to combine. Spoon the mixture into small pots or a terrine mould. (If using a mould, you’ll need to line it with clingfilm in order to get the finished terrine out in one piece). Refrigerate for a few hours, until set. Serve in the pots or, if using a terrine mould, unmould onto a board. Serve with really good bread and a few cornichons. 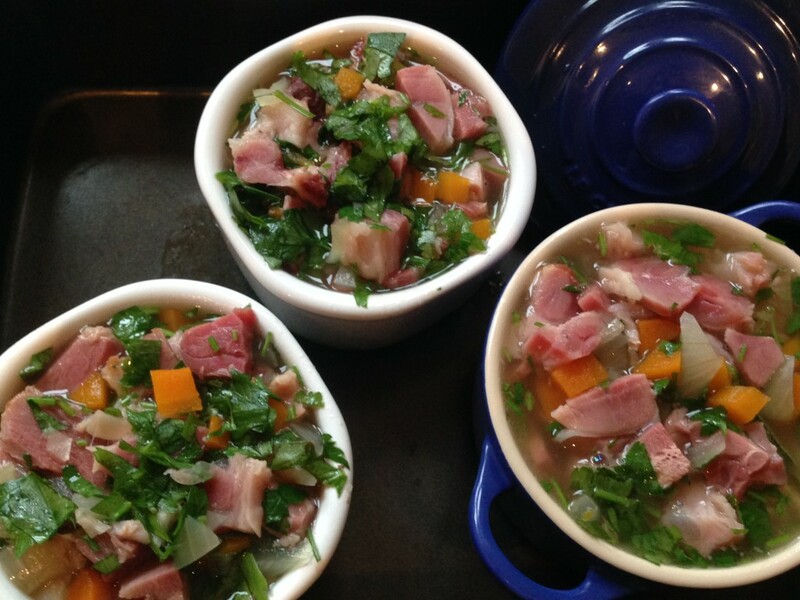 This entry was posted in Recipes, Savoury and tagged hamhock, raymond blanc, terrine. Bookmark the permalink.